If you want to get the party started, you’ve got to get your car started. Powermaster has you covered with their lineup of Powermaster performance starters and alternators. Small, lightweight, and packing a punch, their starters pack more torque and endurance while their alternators live up to their namesake. Today’s builds are more power hungry than ever and you have to have an alternator that keeps up with the demand. 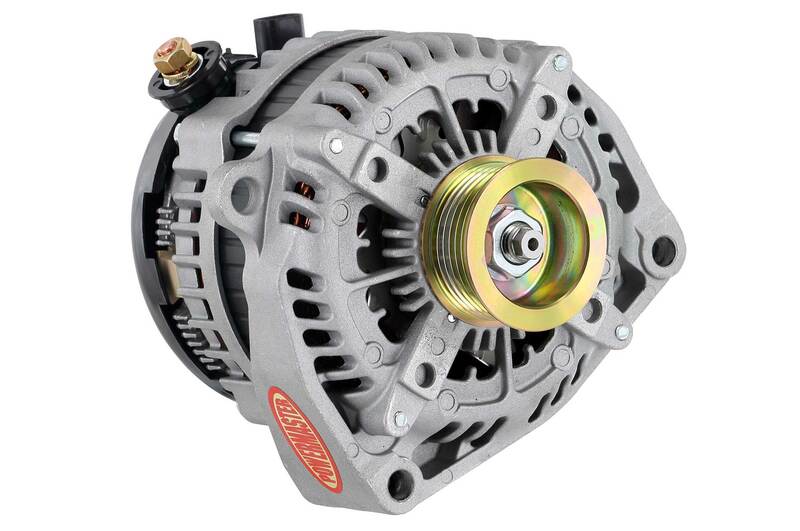 With so many of us running HIDs, twin cooling fans, and wattage-hungry sound systems, you need to have an alternator that can stand up to the test and Powermaster has you covered, but first let’s talk a little bit about their starters. A rating of at least 160 lb-ft for engines under 10.5:1 compression, 180 lb-ft for up to 12:1, and for anything over that go with a 200 lb-ft rating. 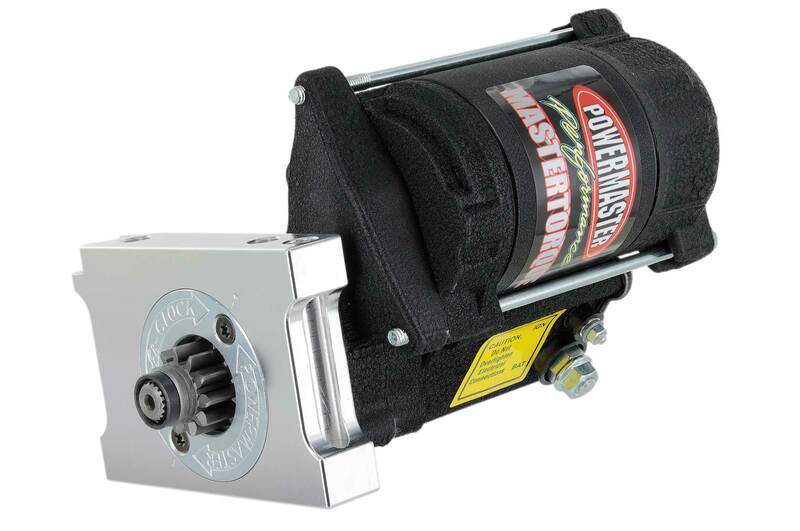 Powermaster even offers their Ultra Torque series that produces up to 250 lb-ft of torque. Ensure the mounting pad is free of paint to achieve a quality ground path. On engines with vertical bolts that go into the engine block, always use the supplied knurled section that ensures there will be no movement when the starter is cranking. Without that knurled area, over time the starter will move, ever so slightly, but enough to eventually cause damage to the pinion gear and/or ring gear. Consider updating the battery cable. Performance starters require more current than a stock model; in many cases the factory wiring may not efficiently carry the high load. Run a ground cable from the engine block to the chassis or battery ground. Check gear mesh. Gear mesh is the relationship of the ring gear and the pinion gear teeth. There should be 0.020 to 0.035 of area (the size of a paperclip) between the gear teeth when engaged. If the clearance is too tight, shims can easily be added between the engine block and starter mounting block. Check pinion depth. This is the distance that the pinion gear teeth engage with the ring gear. A rule of thumb is for the pinion gear to be about 1/2 to 2/3 engaged with the ring gear. Powermaster supplies shims that go behind the mounting block of the starter to achieve the proper gear depth. An alternator is an essential part of you powerplant. It keeps your battery charged and your car’s electrical system up to the task. Powermaster’s powerful new Hairpin Replacement (HPR) direct-fit alternators are more than ready to tackle any job. Their HPR alternators produce over 180 amps at idle and 245-plus amps at top end-the highest output of any late-model alternator! In addition, the new HPR alternators are direct bolt-in upgrades for many domestic, late-model applications, but with more output and a better price! 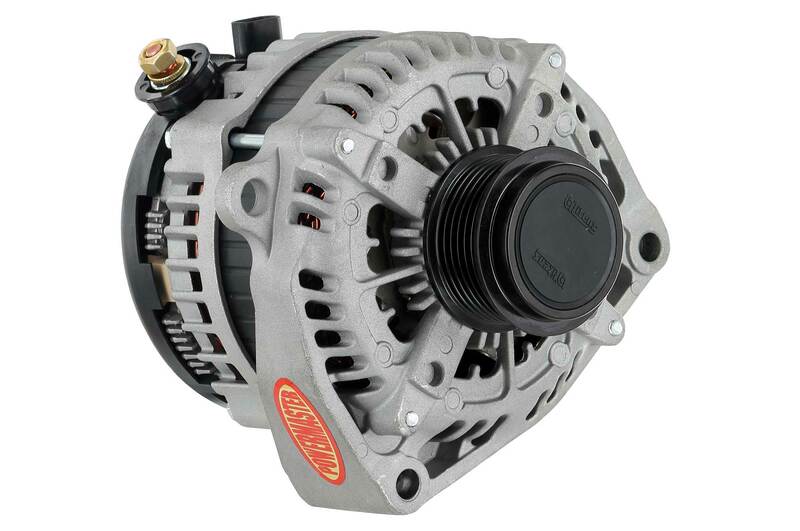 Each new Powermaster HPR alternator is engineered to bolt into the factory mounts and accept the OEM connectors. A factory diameter pulley is supplied, including a decoupler design or clutch pulley assembly for an exact OEM fit and function. Efficient internal components produce more output while consuming less engine power and they are all designed as direct bolt-in to factory brackets while electrical connections should plug right in. In addition, all kits are supplied with an OEM-style pulley, decoupler, or clutch pulley for a factory fit-no need to change belts. 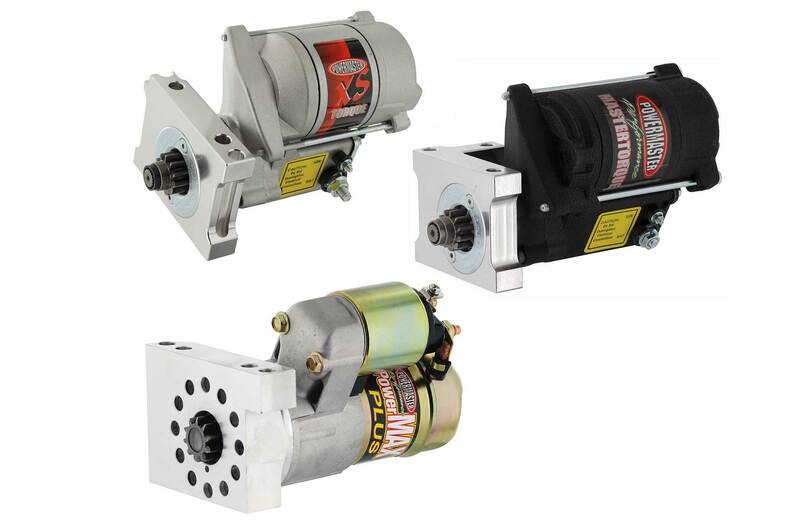 The HPR Series alternators are available and ready to ship for a variety of domestic applications. Choose between natural, polished, or durable black finish. If you have questions, or would like to view Powermaster’s full catalog, call them at (630) 957-4019 or visit them online.